1. Heliocentric View: In the above charts we see for the respective dates Heliocentric locations of the planets. For 29th August the main aspects seem to be The Pluto/Vesta conjunction square with Uranus, also semisquare to Earth. Saturn is also sesquiquadrate to Mercury. 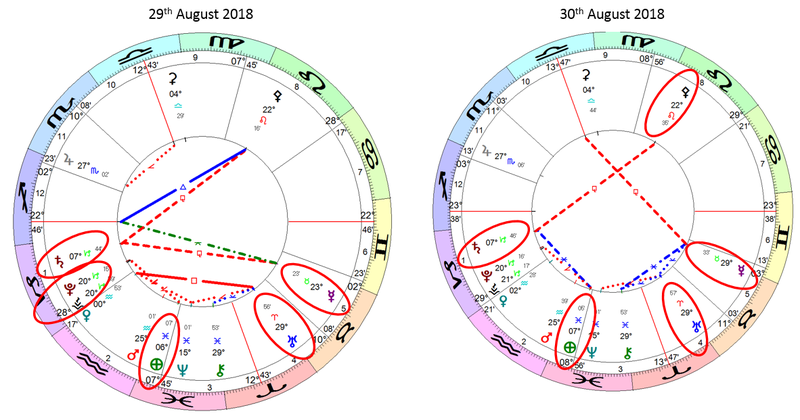 30th August is easier and the main aspect becomes between Earth and Saturn, a sextile. 2. Geostationary View: In the above charts we show for the respective dates the Geocentric View of the planest. Here on 29th and 30th August we see SATURN trine with URANUS. However for both dates also we see Uranus square to Black Moon. Interestingly also Jupiter is sesquiquadrate to Chiron, and this is activated on 29th by the Moon. 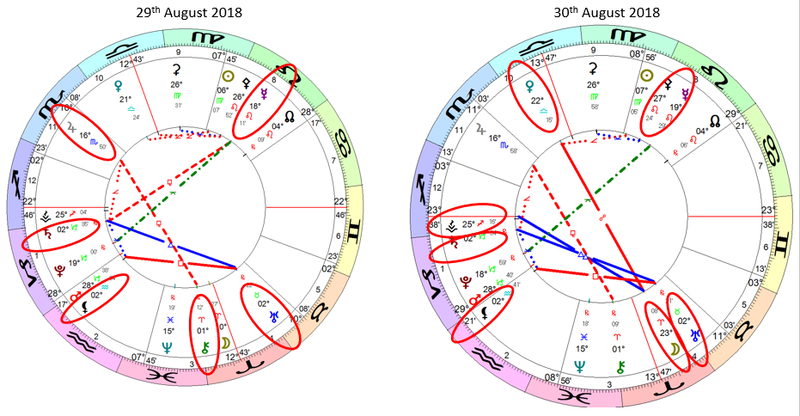 The Moon is also creates an opposition to the Venus on 30th August. Both dates are similar but 29th is probably more active by comparison. Time will tell.